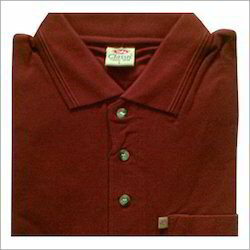 Exporter of a wide range of products which include polo t-shirts. Owing to our rich vendor-base, we have been able to supply and export a wide range of Polo T Shirts. Our offered T-shirts are procured from reliable vendors of the industry, who manufacture the same using best-in-class fabrics and yarns. Available in different sizes and colors, these T-shirts are demanded across the globe. Also, our offered Polo T Shirts are packed to ensure safe dispatch at the clients' premises. Looking for Polo T-shirts ?